Is a 4 dimensional spherical universe possible with flat curvature? So if the universe has flat curvature, it can be either infinite or bounded with a 4 dimensional shape (compact). But why can't it be simply connected, like a 4 dimensional sphere? That would seem to be the most obvious shape to me for a finite universe. A flat space means you can draw parallel straight lines that neither converge nor diverge. On a two-sphere, this idea shows up as the lines of constant longitude converging and the lines of constant latitude not being straight: following a line of constant latitude (except the equator) requires that you are always turning off of the geodesic (great circle) tangent to your current motion. Not the answer you're looking for? 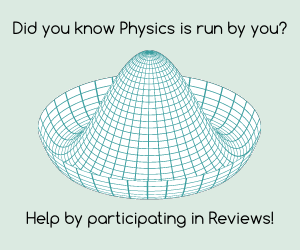 Browse other questions tagged cosmology spacetime universe curvature or ask your own question. How to concile flat spacetime and big bang? Why do we only talk about three options when it comes to the Shape of Spacetime? Can hyperbolic space be bounded? Is the Universe infinite or it's just expanding to infinity? If the Universe is Flat, has Finite Mass/Energy, and is Simply Connected, Then there MUST be an Edge, Mustn't there? Shape of the universe: why spehe (positive curvature) means finite? Can the universe be unbounded and yet have a finite amount of stars and galaxies? How can an infinite universe expand?